That contradicts a significant part in Mueller’s report, one of the only lines we know of since it has not yet itself been released. “The Special Counsel states that ‘while this report does not conclude that the President committed a crime, it also does not exonerate him,'” Barr wrote in his letter describing the Mueller report, per reporting from the New York Times. Many have suggested that Barr’s letter isn’t telling us the full story. MSNBC host Joe Scarborough, for example, stated on Monday morning that he believes Trump’s victory lap since the release of the letter is an act of deception by the president.
.@JoeNBC asks: If there was no collusion, why did President Trump and associates lie about Russia? “We know it’s all a scam, and voters know it’s all a scam, and most importantly, only 29 percent of Americans believe that he’s exonerated,” Scarborough said, according to reporting from Raw Story. The MSNBC morning show host was citing an NBC News/Wall Street Journal poll in which only 29 percent of Americans believed Barr’s letter or the yet-to-be-released Mueller report cleared Trump of any wrongdoing. Forty percent of Americans believe Trump hasn’t been cleared as of yet, while 31 percent say they’re unsure, according to the poll. 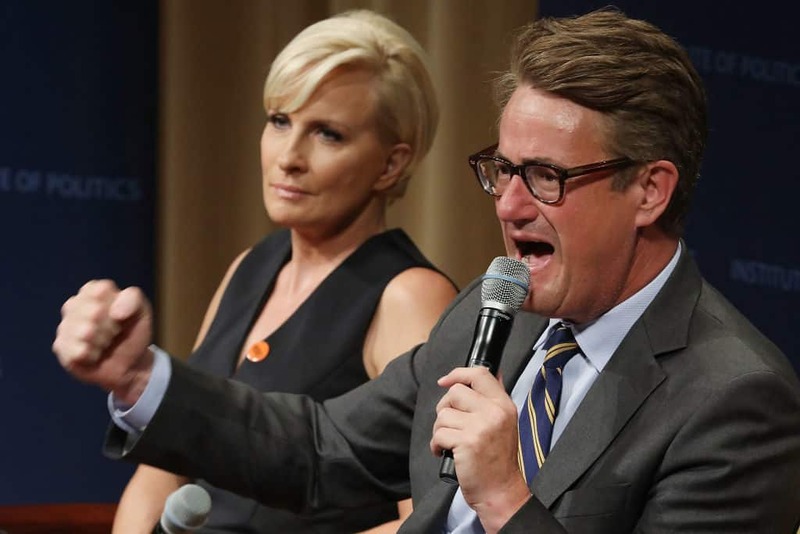 Scarborough added that he believes Trump is trying “to stop us from seeing what’s in the Mueller report,” and that he’s attempting to “change the topic” with his assertions that he’s exonerated — an attempt that the “Morning Joe” host said isn’t working. “Can’t change the topic. He says he’s not playing games — he is playing games but it’s a game he ultimately loses,” Scarborough said.